Atishoo! Atishoo! We all fall down! Going down with a cold in winter is a common complaint that very rarely can be prevented. It has been said that catching a cold can help to cleanse the body, giving you a good clear out! As the winter temperatures drop, we inevitably tend to congregate indoors, causing us to miss out on any natural sunlight. This lack of sun is the reason why our Vitamin D levels drop, so we are more apt to spread viruses from one person to another. We know that colds and flu are caused by viruses but using antibiotics to treat a viral infection is completely ineffective. It is also important to recognize that, although a virus triggers your cold or flu symptoms, it is not the real cause of the illness. So what causes us to catch a cold? The answer is simple – a weakened immune system. Research confirms that “catching” colds may be a symptom of an underlying vitamin D deficiency! Low levels of which will significantly impair your immune response and make you far more susceptible to contracting colds, influenza, and other respiratory infections. The First Signs Coming down with a cold often start’s with a few sneezes or sore throat. Its at this point, actually the moment you first feel yourself getting a bug that you should address nutrition, sleep, and stress issues. Look at your diet Look at foods that will strengthen your immune system, such as garlic a potent antimicrobial that kills bacteria and viruses. Concentrate on herbs and spices high in antioxidant levels such as turmeric, oregano, cinnamon and cloves. Eat mushrooms, especially Reishi, Shitake and Maitake, which contain immune enhancing properties. Your Sleep Pay attention to how you are sleeping. If you aren’t getting enough restorative sleep, you’ll be at increased risk for the virus to takeover. New evidence suggests that those who lose just a bit of sleep, or those who have poor quality sleep, are more likely to get sick after being exposed to a cold virus than those who get plenty of sleep. People who sleep six hours a night or less are four times more likely to catch a cold than those who have slept for more than seven hours, according to researchers. Take Extra Supplements You can boost your immune system with extra supplements such as Vitamin C, a powerful antioxidant and Propolis a bee resin that contains two very important compounds to aid in immune response. Use Essential Oils In terms of treating symptoms naturally using essential oils will provide the benefits of antiseptic and antibacterial properties. Some oils are also anti-fungal and antiviral, making them beneficial during the cold season. Natural sore throat balm An essential oil blended cream you can apply to the outside of your throat, and back of neck, to soothe the tender tissues of your throat. It can also help if you’ve been coughing and the muscles in your neck are sore. The essential oils have anti-inflammatory and antispasmodic properties. The blend offers two versions one for adults and one for kids, made in 2 oz (60 ml) unscented body cream or jojoba wax. Tissue Inhaler Place 6 drops of Eucalyptus oil and 4 drops of Lavender oil on different areas of a tissue. Put into a sealed plastic bag and keep it in your handbag while you are suffering a cold. When your nose is congested, just breathe deeply into the tissue. 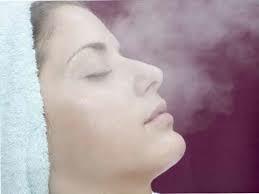 Steam Bath A warm steamy bath can also help a nighttime cough. Run a hot bath and close the bathroom door to let the room get steamy. 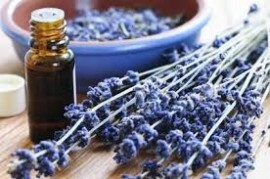 Add 5 drops each of Eucalyptus and Lavender essential oils into the bath to soothe a cough and open up the chest. 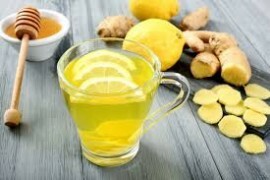 Soothing Tea Lemon, honey and ginger tea is a great soother for a sore throat and calms a cough. Honey helps to break up mucous and the astringent nature of lemon juice does the same thing while also providing vitamin C. Squeeze half a lemon, 1 tsp of honey and 3 slices of fresh ginger in a cup of hot water. Allow to infuse for a few minutes before taking small sips of the tea. Listen to your body when you feel a cold coming on. Control your stress levels as they can quickly worsen a cold. Do something that relaxes you – listen to music, meditate or do some light stretches and deep breathing exercises. And remember to rest! Thanks Louise for your positive feedback.